...and now by me. Don't ask me why my chin is doing that thing. I really don't have a pointy chin. Really. 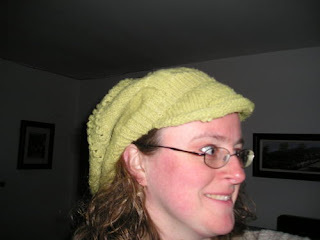 The yarn was purchased at the Union Square Green Market about a year ago during a visit with my dear Snarky friend. 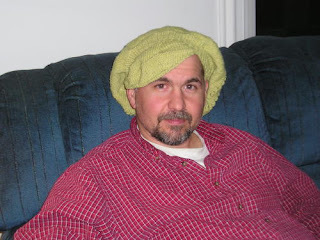 I tried it twice as a scarf, but it really wasn't meant to be anything but a hat. Obviously. 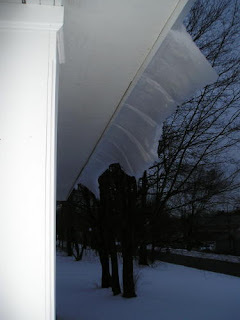 The following photo shows: (Foot of snow + Days of warm weather) x Tin Porch Roof = ice slideage.